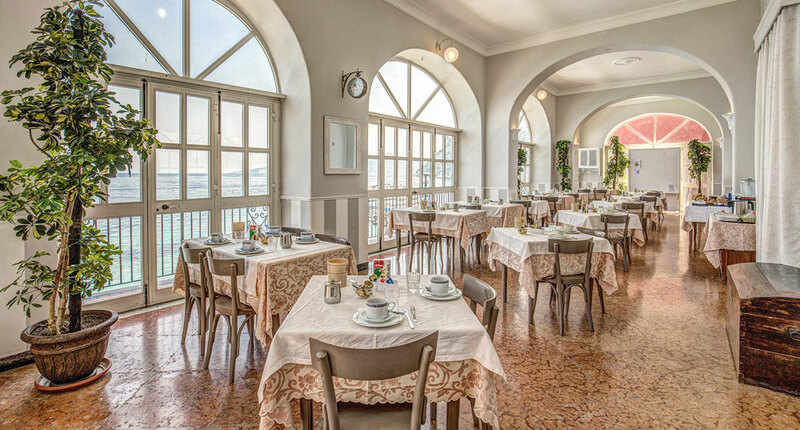 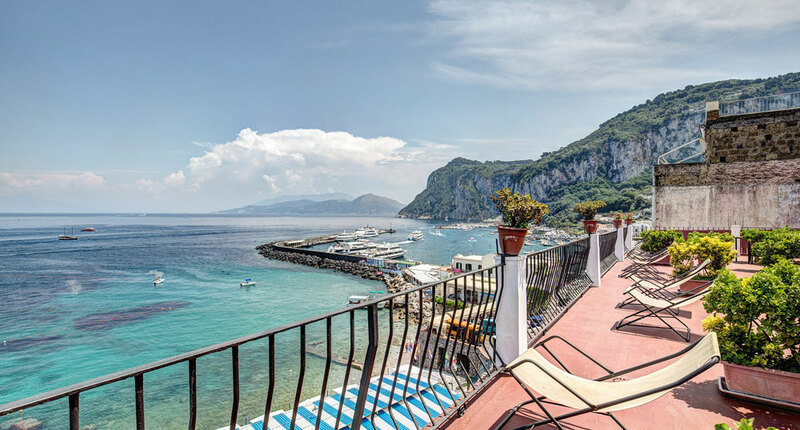 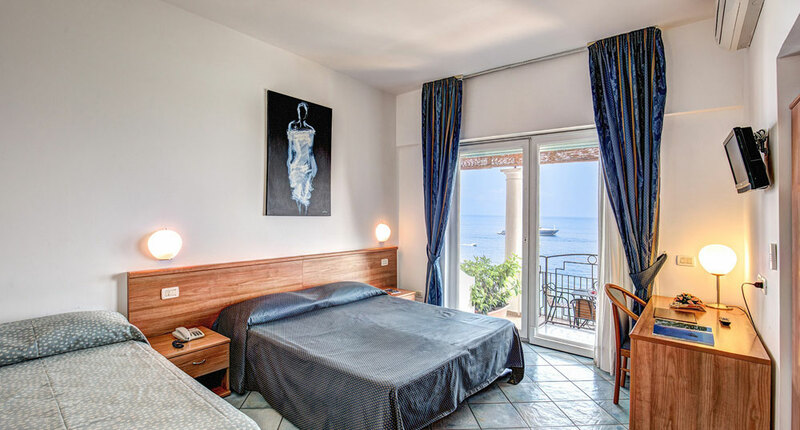 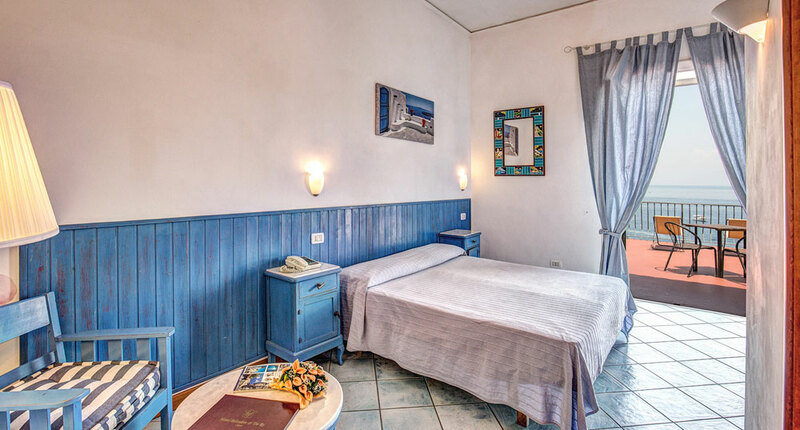 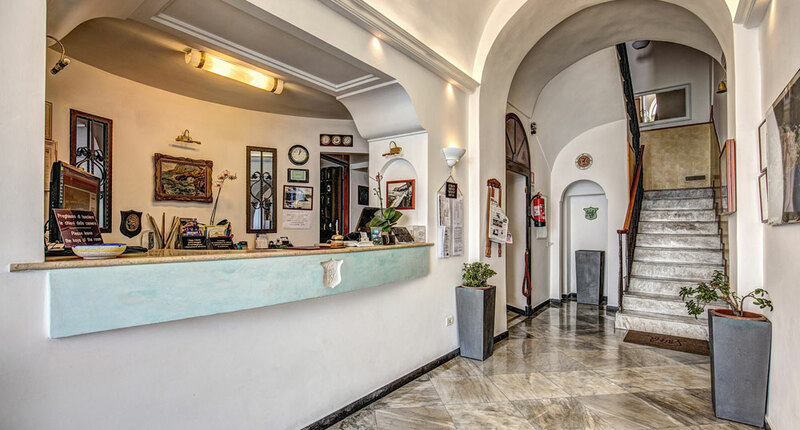 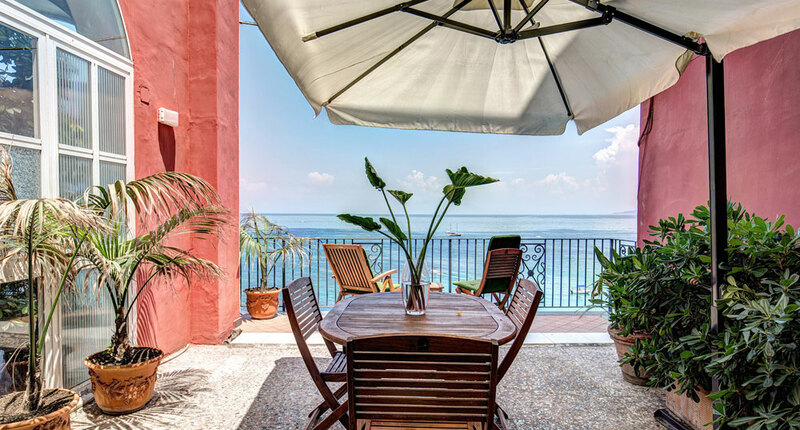 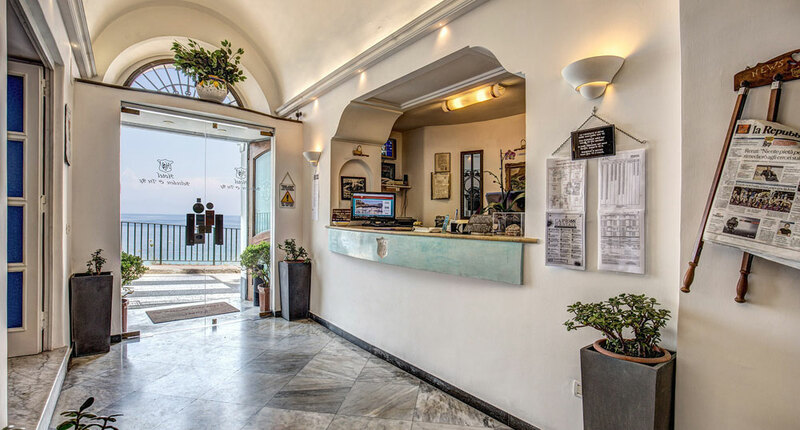 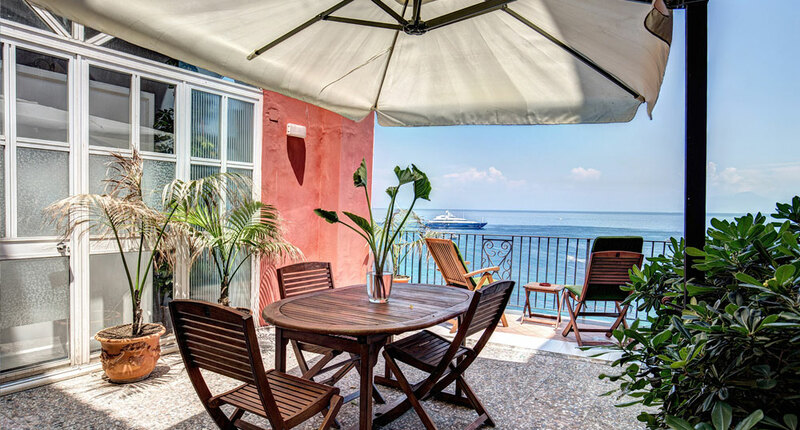 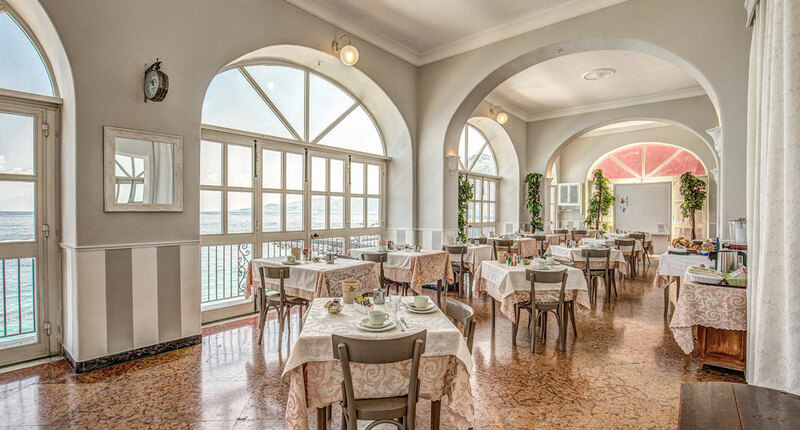 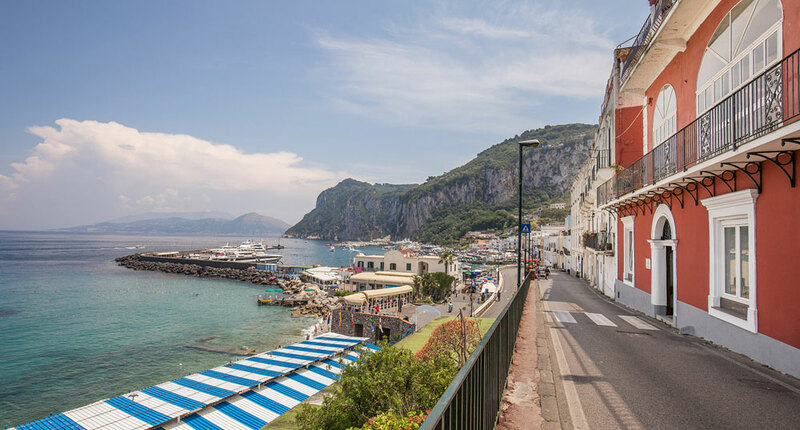 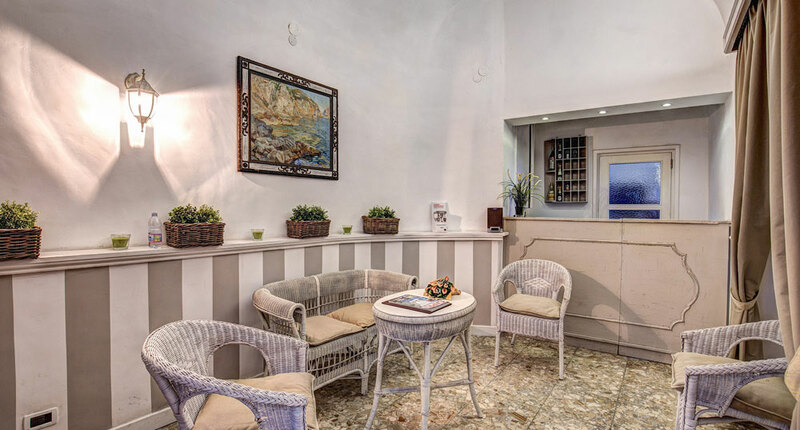 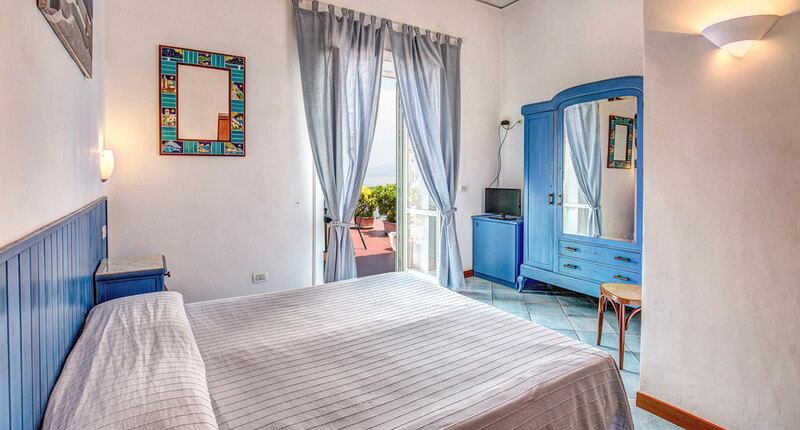 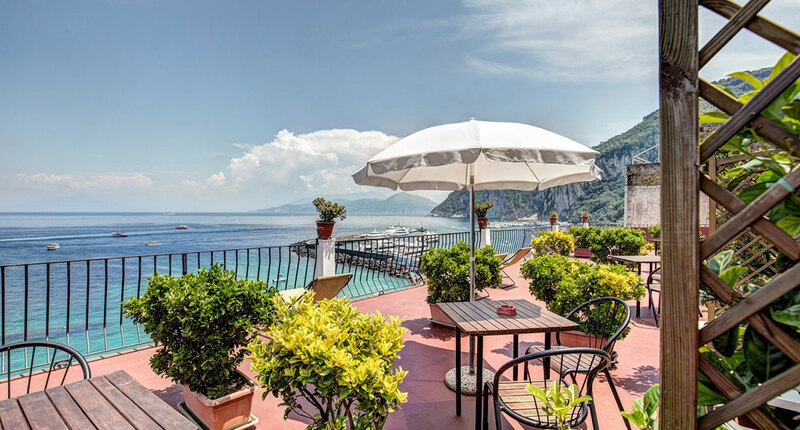 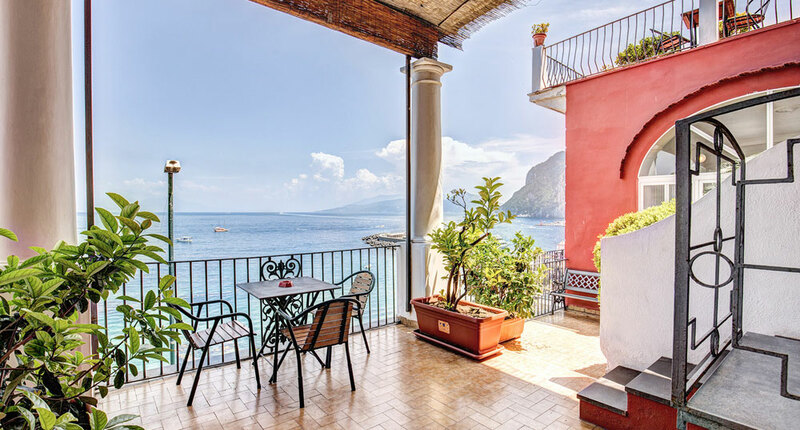 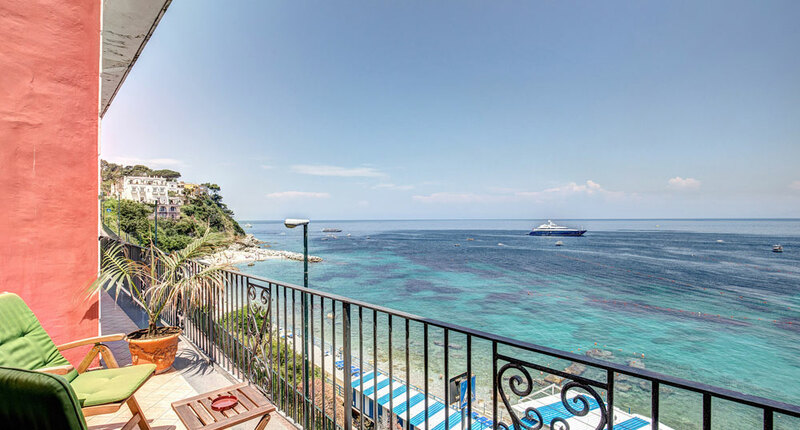 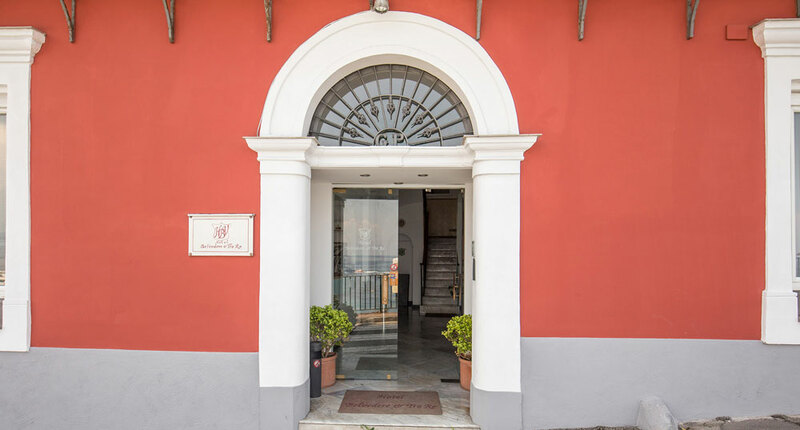 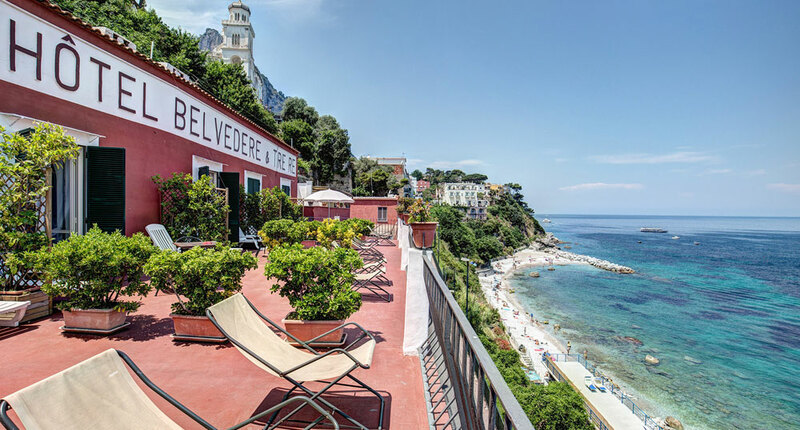 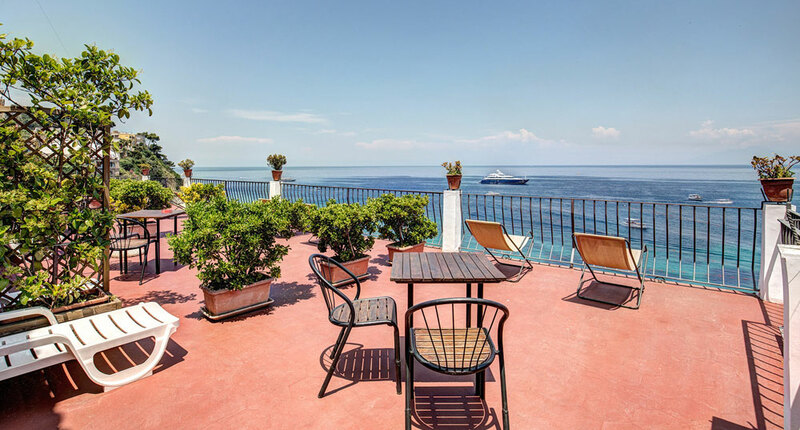 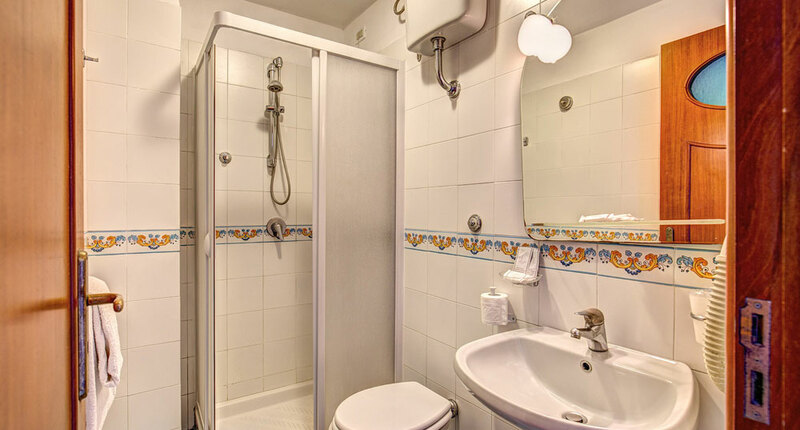 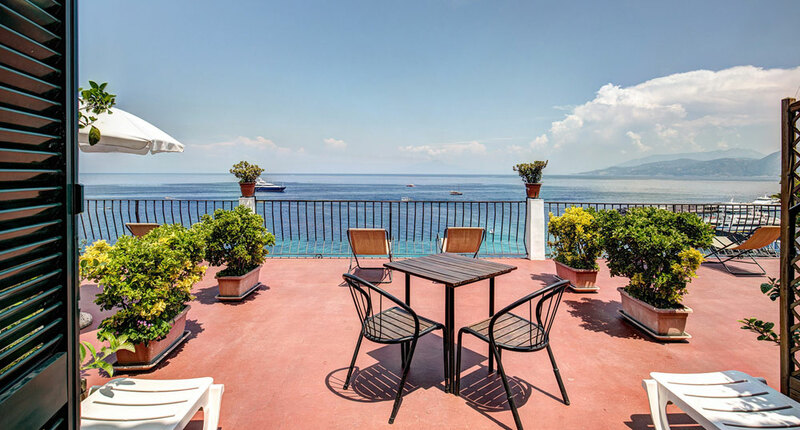 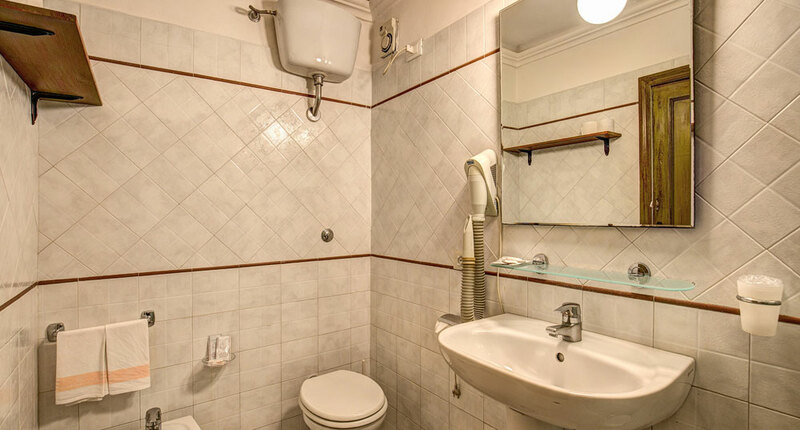 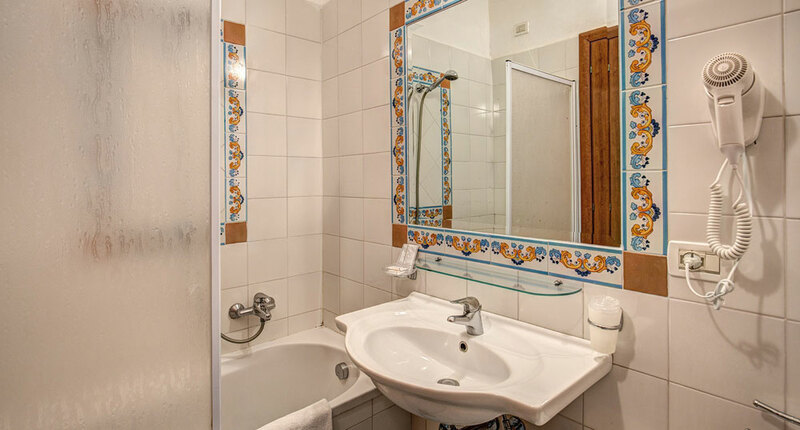 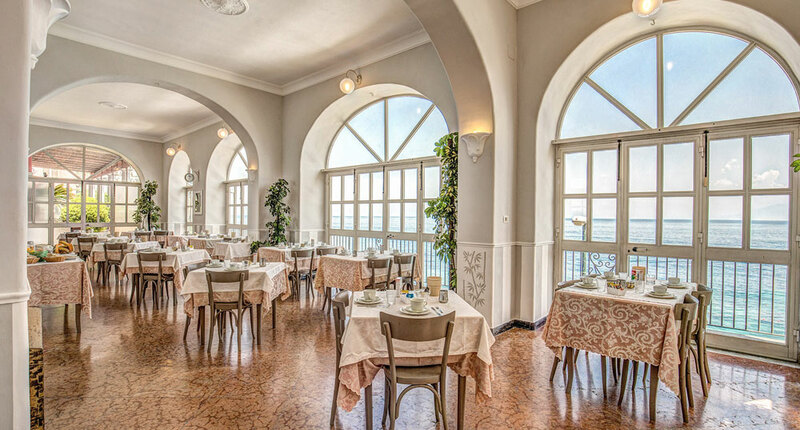 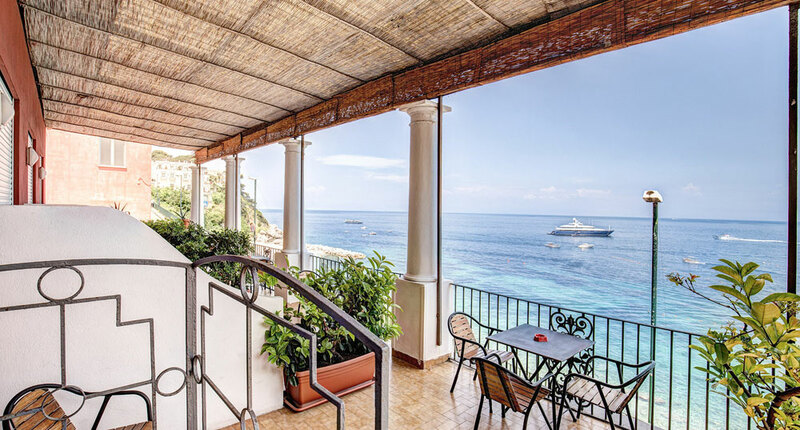 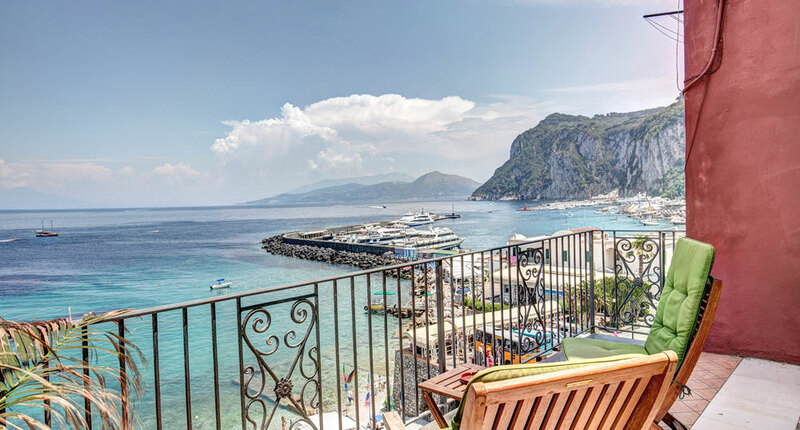 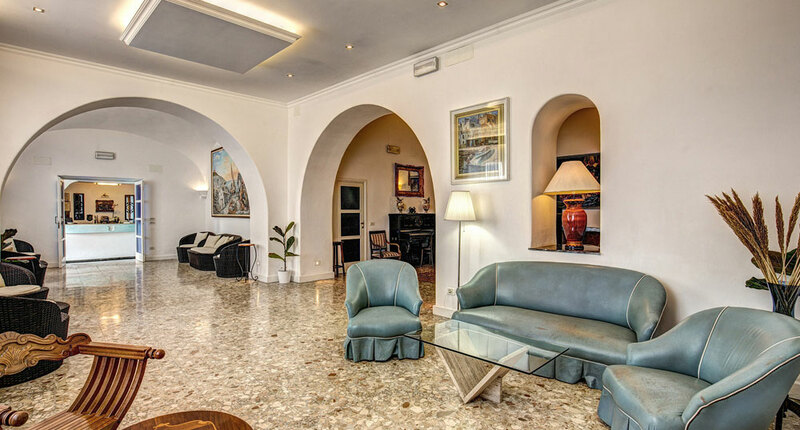 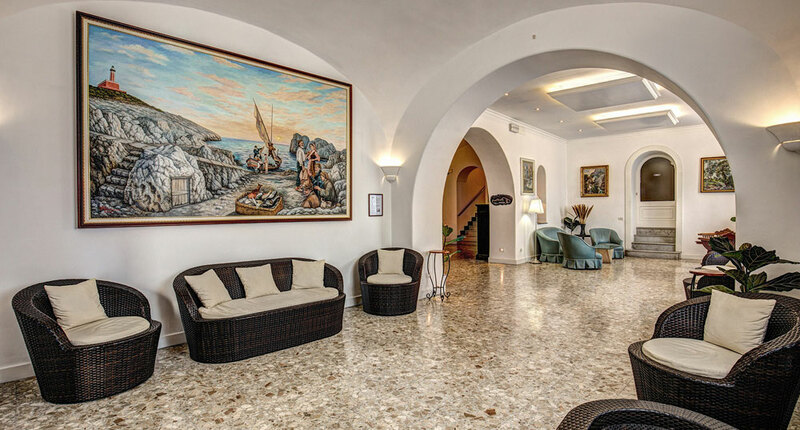 The Hotel Belvedere & Tre Re Capri provides clean and comfortable rooms with welcoming and warm staff in the port of Capri, Marina Grande. 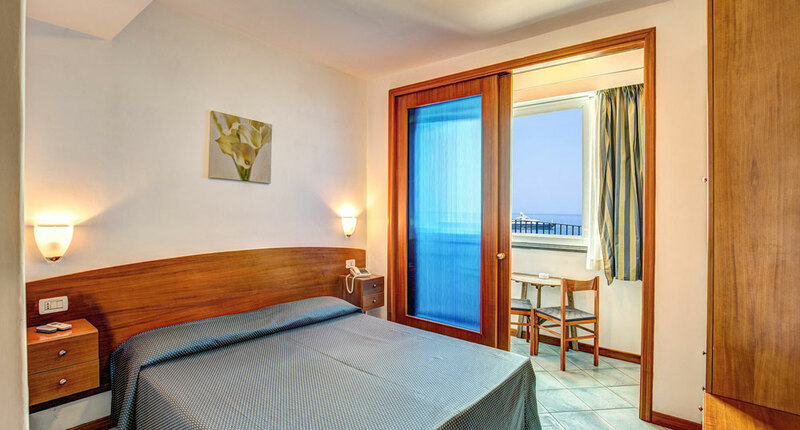 Our 2 star hotel offers fantastic panoramic views of the island and coastline with direct access via private steps to the sandy beach below. 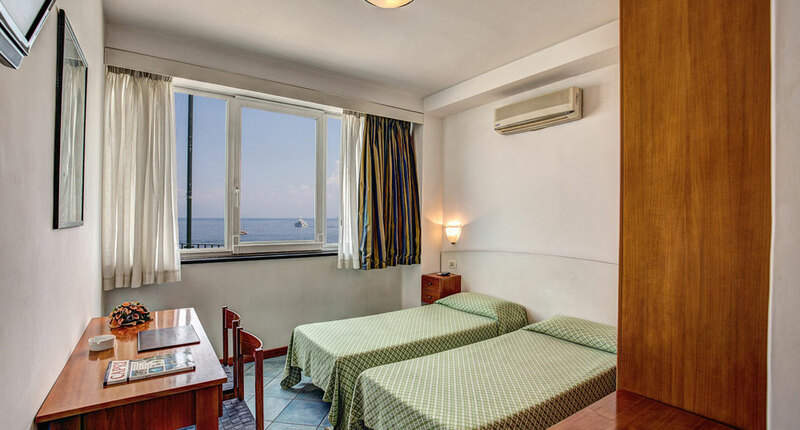 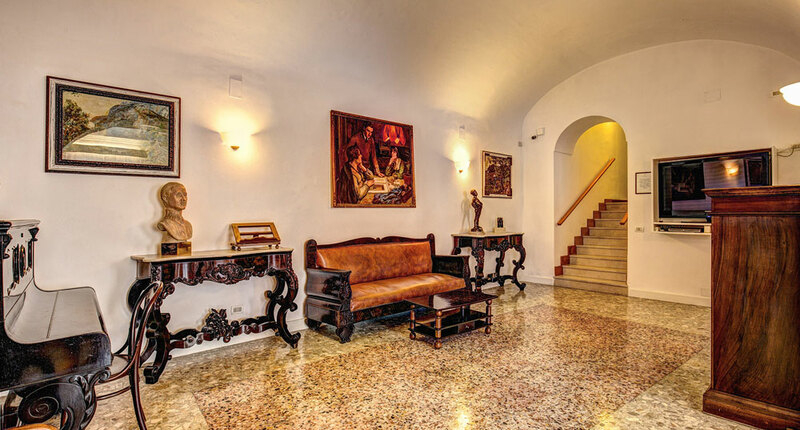 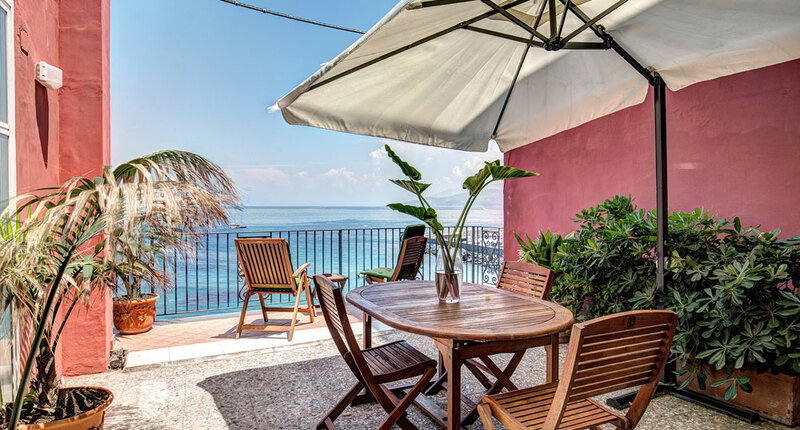 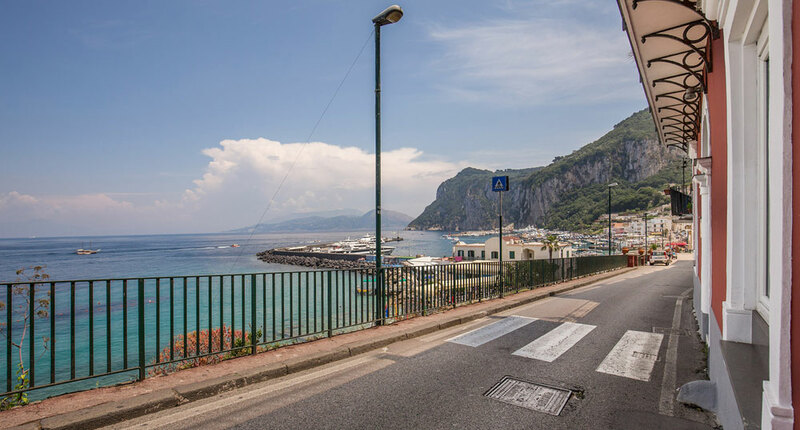 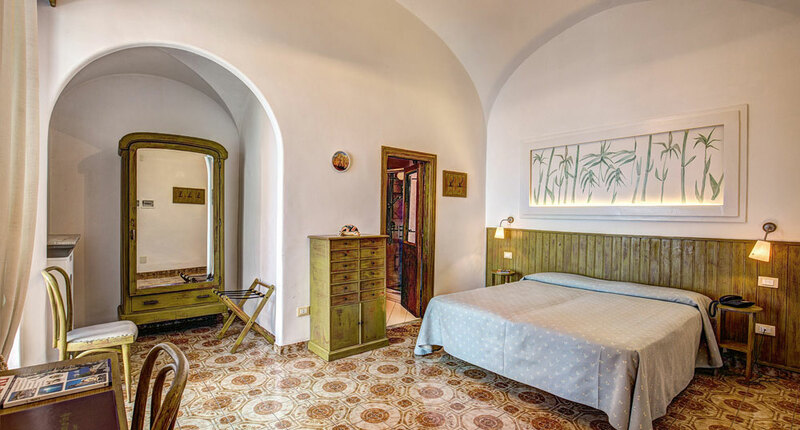 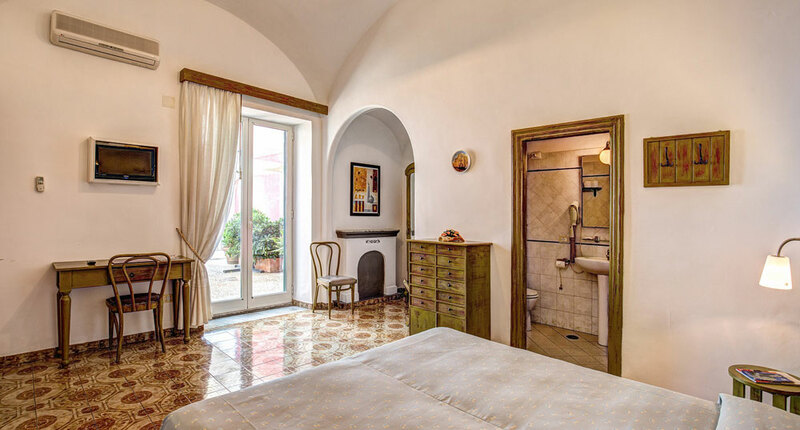 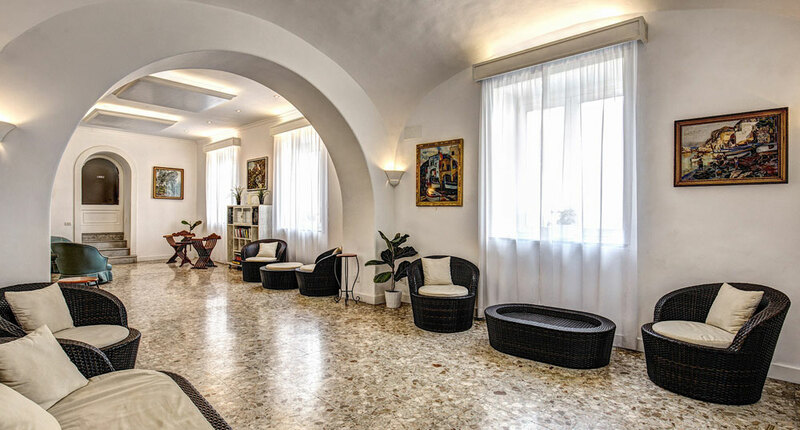 Our rooms are comfortable, cool and with free Wi-Fi access and the perfect basecamp for excursions to the beautiful locations of Capri. 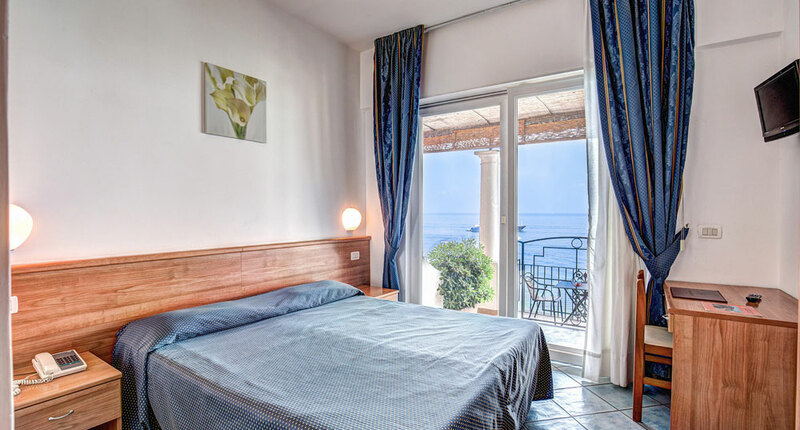 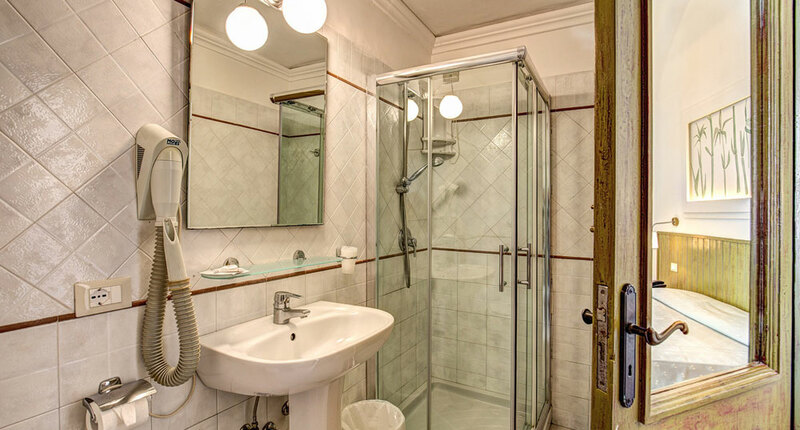 Please be aware that we also provide excellent rates and Package Promotions for those who appreciate a bargain, and our secure online booking system will ensure that your Reservations are made with as little hassle as possible. 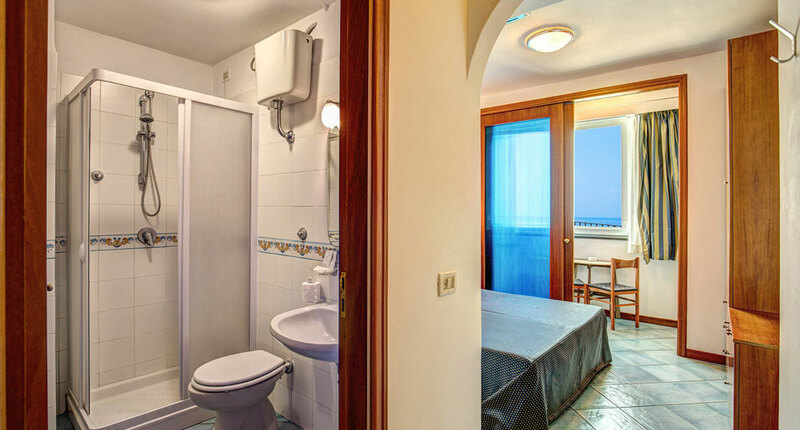 Click on the pictures to enlarge them, or learn more about our Rooms or Location by following the links. 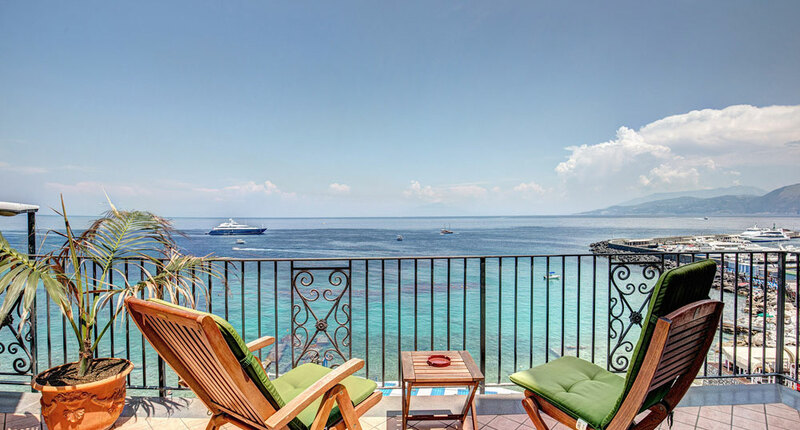 Website designed and maintained by: Fisheyes Ltd.